PB Fencing & Decking is a family-run business which specialises in high quality fencing, decking, gates & artificial grass. Covering Exeter and surrounding areas Paul and his team are able to assist with all of your fencing, decking & all aspects of garden construction or maintenance, they offer a friendly, reliablie and professional service. PB Fencing & Decking is a family-run business which specialises in high quality fencing, decking, gates, wooden structures, power washing & artificial grass. With many years experience in the trade we cover the Exeter and surrounding areas. All work carried out is to a high standard with top quality materials, Paul and his team will be happy to provide you with a free no obligation quotation for your required work. Wooden & composite decking available for any size of your choice. 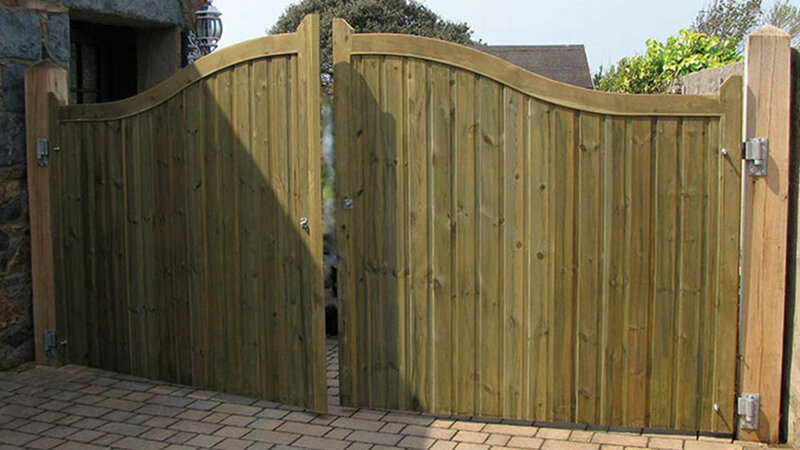 Hand made bespoke gates made with top quality wood. A range of different artificial grass available call today to view our quality samples. Finish off your driveway with a sturdy wooden carport, built of quality materials in any size to suit your needs. These sturdy structures give any garden a touch of elegance and can be built to any size. Refresh your existing fencing, decking or patios with a commercial power wash to rejuvenate your garden. Below is just a snapshot of some of the work completed by Paul and his team including Composite decking being constructed of high quality material which is built to last and a superb finish with very low maintenance. Wooden decking in a curved edge which looks excellent now completed. Decking with ornate rail and various feather edge fencing. Paul is happy to come and give free quotations for any of the above services so please call or email today. We are largely based in Exeter & the nearby surrounding areas. Whatever you're looking for, whether it be fencing, decking or artificial grass- please feel free to get in touch.